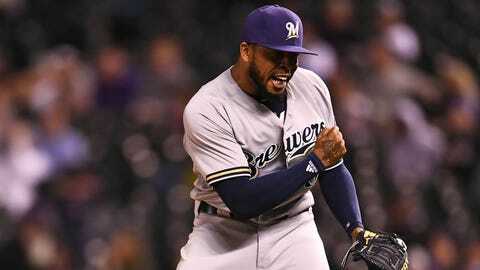 If the Milwaukee Brewers bullpen has a lead to work with, look out. Brewers relievers have a combined 2.27 ERA when entering the game with a lead this season, second in all of baseball. Milwaukee is 36-3 this season when leading after six innings, the second-best such record in the National League this season. Thanks to guys like Jesus Aguilar, they’ve had plenty of leads. Aguilar had a memorable June, hitting .313/.352/.747 with 24 RBI, 10 home runs and six doubles. That’s tied for the fifth-highest slugging percentage ever in the month of June by a Brewers player. Starting pitcher Brent Suter takes on Kyle Gibson on Monday when the Brewers open a three-game home series with the Minnesota Twins. Suter’s biggest strength over the last few years has been his command. The 28-year-old lefty is allowing just 2.01 walks per nine innings since 2016, sixth among NL starters over that span.